Remember a few years ago when Tim Cook promised Apple would double down on product secrecy? Well, as much as Apple tries, the company simply can’t keep details about upcoming products under wraps. 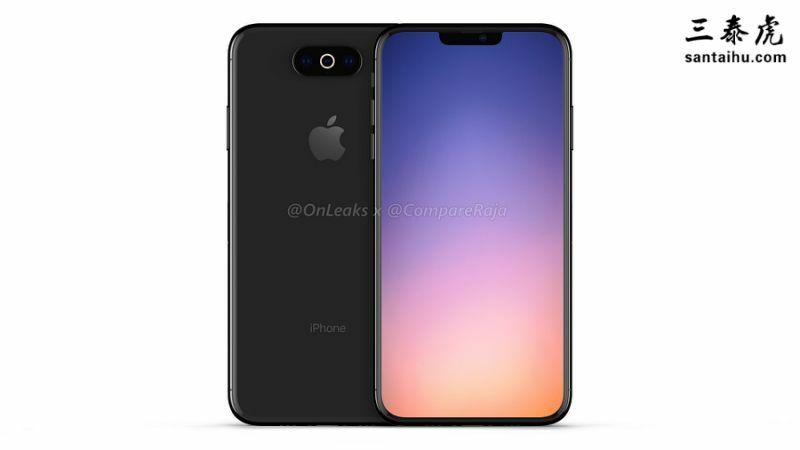 Just a few days after renders of an iPhone 11 with a triple-lens camera surfaced online, noted leaker Steve Hemmerstoffer is back with yet another bombshell leak. 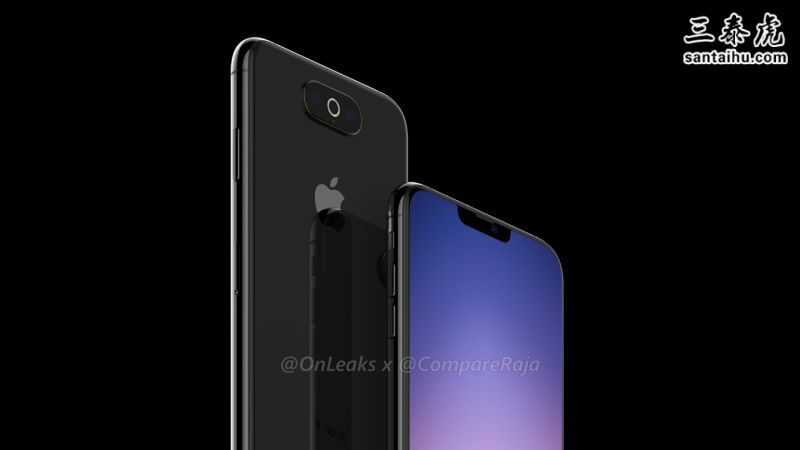 This time around, Hemmerstoffer partnered with CompareRaja to publish brand new renders of an iPhone 11 prototype Apple may be considering for release later this year. Now the good news is that the renders below are far more aesthetically pleasing than the aforementioned triple-lens device that emerged last week. The renders below feature a triple-camera lens oriented horizontally and, interestingly enough, a flash that surrounds the camera module itself. What’s more, the new renders suggest that the notch on the iPhone 11 may shrink ever so slightly. Per usual, the leaked photos should be taken with a grain of salt. Hemmerstoffer notes that both prototypes are still in the Engineering Validation Test (EVT) phase, which is to say that Apple is still ironing out the specific features and design that will ultimately ship on its next-gen iPhone lineup. This of course isn’t much of a surprise given that Apple routinely explores various prototypes before deciding on a winning design. Of course, it goes without saying that Apple’s triple-lens iPhone will likely be the company’s flagship model, essentially the successor to the current iPhone XS Max. Meanwhile, there are rumblings that the follow-up to the iPhone XR will feature a dual-lens camera scheme. As for other iPhone 11 tidbits that have surfaced over the past few weeks, there have been rumors that Apple’s next-gen iPhone will include support for faster Wi-Fi, improved Face ID performance and reliability, and USB-C support. There was even a Reuters report claiming that Apple may introduce a 5G-capable iPhone this year, though that seems like a long-shot. The most advanced iPhone Apple have ever created - says Tim Cook and company every year they release an iPhone with very little update. Radical translates to 0.001 mm thiner and a $200 price increase while minimal improvement in speed and as always insufficient memory to force you to upgrade sooner when it runs out or to pay even more for the version with reasonable memory. Is it water proof? Unbreakable? replaceable battery? NO? Then it's not radical. so it looks like an iPhone x?? that's radical and new? so back camera in different position. Radical! nothing is accidentally leaked. this is all well thought out and calculated marketing by apple to bring about attention and awareness of something shinier and newer. No thanks. Sticking with my 6s. If this is what Apple considers radical, then they may as well close up shop now. Another phone being crammed down my throat. Enough with the updates. They are all the same. Save your money. Nothing new or radical here. WOW. That really is "radical". About as "radical" as the 7, 8, 9 and 10.
huh? What is so Radical about this design? A radical change would be a reduction in price, preferably half of what it costs now. Yea, I’m good with my iPhone 6. I’ll use this thing til it’s obsolete in 3 or 4 years. Then I’ll probably get a used 8 for under $200. Is it just me but I don't see the radical and exciting design it looks the same as the other ones what am I missing? NO way will I spend over $1000 for a cell phone. Better pictures just doesn’t justify the prices. Soooo...it now looks more like a Samsung? Awesome! There was a time that Apple execs said they would NEVER make an iPhone with a big screen either but apparently, they were forced to compete. My "flip-phone" still works fine, thanks. Considering that iPhone sales are down, they should take a year off and comeback super strong in 2020 with something truly awesome. Still keeping my iPhone 8 until breaks. ‘Leak’ is that what they call marketing these days? Radical will be how much the price hike is this time. Nearing 1500? The biggest update for the next iphone...$2000 price tag. They better come up with something- Tim Cook is running Apple into the ground. Stock is down 36% from its high, nothing since Jobs died with the exception of a watch. I’ve seen no reason to upgrade since the 6 plus, that was 4 years ago! So what's the difference? They moved the camera to the center instead of the corner? Radically new design exactly as the iPhone 6. Intentional Leak as their stock price has been in free fall because they don't have any fresh products...or new revolutionary ideas. Im sorry... I cant stop laughing... this is going to save apple's future?